Extra skin and/or fat on the upper eyelids can create a drooping effect that makes you appear tired or aged beyond your years. While eyelid surgery is a viable option to reverse the look of droopy eyelids, not everyone wants to go under the knife to achieve more youthful contours. 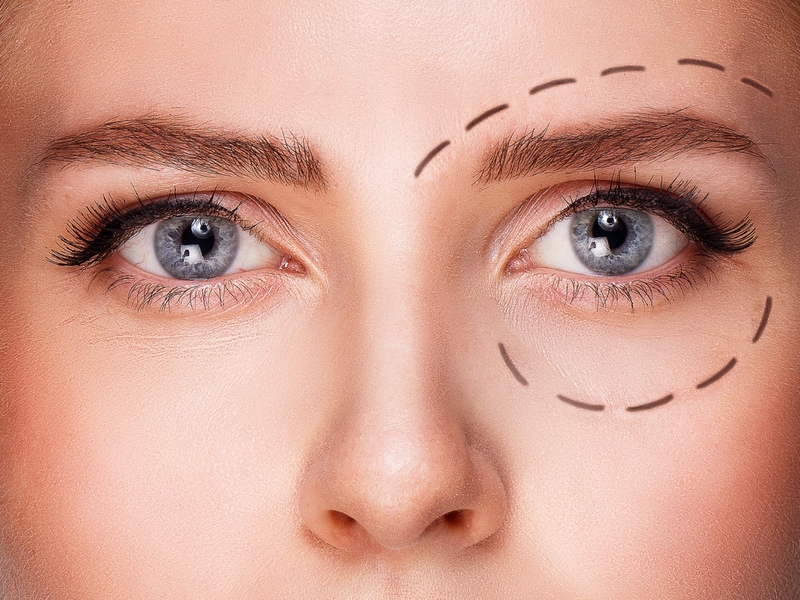 Fortunately, there are now several non-invasive alternatives to traditional eyelid surgery. Botulinum toxin injection (also known as Botox), Ultherapy, and Exilis Ultra have all been found useful in the treatment of droopy eyelids. Learn more about these treatment options, how they are performed, and where to get them. This is a safe, FDA-cleared injectable procedure temporarily blocks the signal from a nerve to a muscle so that wrinkle formed by muscle-contraction relaxes and softens. Botox treats the muscles mainly on the outside and between the brows, which pull the eyelids close and overtime causes it to droop or appear heavy. When injected correctly, these muscles relax and their ability to depress is reduced giving a one to two millimeters lift. Make sure to consult an aesthetic doctor in Singapore who is highly knowledgeable of the facial anatomy and with a good track record as injecting in the wrong muscle may lead to more drooping of the lids. After the procedure, the results will not appear instantly. It takes at least 5 to 7 days before you can see the effects of Botox while it takes 2 weeks to see the full expression of the treatment that you get. Ultherapy is a non-surgical face lifting treatment that uses FDA-cleared focused ultrasound technology to stimulate the collagen which counteracts the effects of gravity on the skin. By taking advantage of the body’s unique regenerative response, Ultherapy is able to gradually lift the skin on the eyebrow to reduce the appearance of droopy eyelids. Ultherapy stimulates collagen production by delivering focused ultrasound energy to the skin’s foundational layer typically addressed in cosmetic surgery-without cutting or disrupting the surface of the skin It is also FDA-cleared to lift the skin on the neck, under the chin as well as to improve the appearance of lines and wrinkles on the décolleté. A session of Ultherapy can take around 60 to 90 minutes on average or depending on the number of areas to be treated. Numbing cream will also be provided before the treatment to make sure the procedure is more comfortable. What’s great about Ultherapy is that there is no downtown after the procedure so you can return to your normal activities. You may experience slight bruising or tenderness on the area which will resolve after a few days. It will take at least 2-3 months to see the effect as it takes time for your body to naturally produce fresh, new collagen. However, the results is a natural lift of the brows helping you achieve a more youthful look. Exilis Ultra 360 is the latest upgrade of the previous Exilis Elite. It is the first and only FDA-cleared face and body treatment that simultaneously combines radiofrequency and diffuse (scattered) ultrasound energy to tighten sagging skin resulting in a youthful appearance. Exilis Ultra provides a non-invasive skin tightening on the eyelids as it works by delivering safe heat energy around the delicate eye area. The diffuse ultrasound also allows the system to heat the tissue in a therapeutic temperature faster, easier and more effectively in order to stimulate collagen and elastin to tighten and firm the skin. Most patient find this procedure comfortable and without any downtime. This is also highly recommended as maintenance treatment after Ultherapy as it prolongs the lifting effect. Exilis Ultra can also be used to treat the other areas of the face such as the cheeks, lower face and neck. It is also built in with a specialized body applicator that provides skin tightening and fat reduction to most common problem areas of the body such as the arms, abdomen and thighs. Droopy eyelids are not only an aesthetic issue, but can also clear the field of vision. Over time, droopy eyelids can begin to worsen making the problem appear more visible then before. Droopiness can also be exacerbated by age and certain medical conditions. The good news is that you don’t have to live with drooping lids. There are now a number of non-invasive alternatives to eyelid surgery that work remarkably well to lift the eyelids for a more open-eyed and younger-looking appearance. For more information about the mentioned treatments for droopy eyelids, contact Cutis Laser Clinics in Singapore and schedule a consultation with our Harvard-trained physician, Dr. Sylvia Ramirez.